Hans de Zwart, Executive Director of The Netherlands’ leading digital civil rights organisation, Bits of Freedom, will return to Bitcoin Wednesday on 7 February 2018 for a presentation on the surveillance state and the upcoming national referendum on the surveillance law known as the Sleepwet. 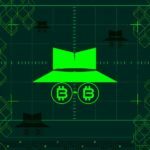 This event is a follow up to our coverage of the surveillance law during Bitcoin Wednesday on 1 November 2017. The Dutch Intelligence and Security Services Act 34 588 (or Sleepwet) was passed that would allow for untargeted monitoring of private communications on a massive scale. Thanks to the work of a group of students The Netherlands will now hold a referendum on Sleepwet during the upcoming municipal elections on 21 March, 2018. Before coming to work for Bits of Freedom Hans de Zwart was Shell’s Senior Innovation Adviser for Global HR and Learning Technologies, and before that, a Moodle consultant for Stoas learning. At the start of his career he was a physical education teacher at a high school in Amsterdam. At the helm of Bits of Freedom he has become a leading proponent of digital freedom on the Internet in The Netherlands. At Bitcoin Wednesday we’ve frequently seen this growing support for digital freedom carried over to a lion’s share of the innovation that has arguably made Amsterdam and The Netherlands a successful innovator in our own industry. 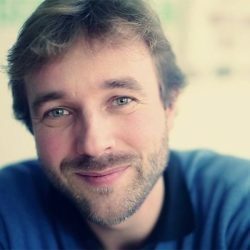 Hans de Zwart is the executive director of Bits of Freedom, the leading Dutch organization for digital citizen’s rights. He returns to Bitcoin Wednesday to talk about the surveillance state and the upcoming national referendum on the new law known as the Sleepwet.